As the football season nears, you may be debating whether or not it is a wise decision to sign your child up for tackle football. 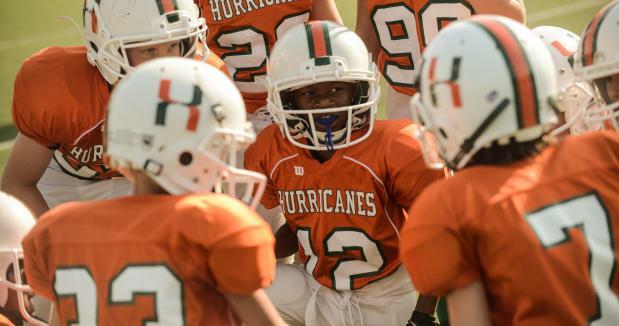 As a growing movement of lawmakers and media sources speak against tackle football at the youth level, there are plenty of reasons kids should be involved in the sport earlier rather than later. Here are seven top reasons why kids need to play tackle football. Learning proper tackling technique at an early age, progressively throughout time, results in greater tackling technique at a later age. By learning proper technique and gaining confidence early, kids learn how to properly make contact with others and lessen the fear of it. According to an American Academy of Pediatrics position paper, children who do not have a grip on how to tackle by age 13 may pose a risk to themselves and other kids on the football field. Tackle football practices are of greater intensity and require a higher degree of physicality. A single tackle football play is a complex series of movements that require arms, legs, shoulders, hips and other body parts to be in sync – by 11 people on a side. The tackle football experience differs greatly from a 7-on-7 or flag football, which primarily focus on speed and some similar techniques for skill players. Introduction to strength training is also a byproduct of the various football drills and calisthenics. Learned early, young athletes learn the muscle memory needed when the game speeds up. Helmet and equipment technology is improving at a feverish pace. Helmet manufacturers are being graded for safety. Youth football safety studies are being conducted across America, in top universities, with the sole mission to improve player health and safety. Science is reacting to the need at hand. Tackle football offers a greater challenge. Kids are taught how to use their hands, feet and mind systematically – an incredible development of their motor skills at an early age. It instills discipline in a variety of ways, starting at the line of scrimmage. Winning at the line of scrimmage requires great effort and mental fortitude. Tackle football strengthens the teammate brotherhood bond. As an offensive lineman, you have a duty to your team, your band of brothers, to protect your QB from getting hit. This certainly tightens the bond between teammates. Youth football leagues have definitive rules about the amount of full contact at practice. Youth coaches across the country are much more aware of the safety requirements, thanks to programs such as USA Football’s Heads Up Football. This includes concussion prevention, recognition and awareness. *-Leagues that employ Heads Up Football and limit full contact in practice have seen a decline in overall injuries. Youth football safety is paramount. Tackle football teaches toughness and aggressiveness. Football at its core is not a soft sport, and contact is a pertinent aspect of the game. There is a literal and figurative lesson being taught: When you get knocked down, you must get back up. This is a life lesson that your child will keep with him forever. As with any sport, early fundamental learning is essential to athlete development. Kids who play tackle football will come to learn the various life lessons of the sport including discipline, aggressiveness and teamwork at a greater level than arguably any other sport because of the work put in and amount of time spent at practice. Vin Sehgal is the co-founder of Youth Football Online. *-This blog has been updated with the most recent Heads Up Football efficacy data as published in The Orthopaedic Journal of Sports Medicine (July 2015).